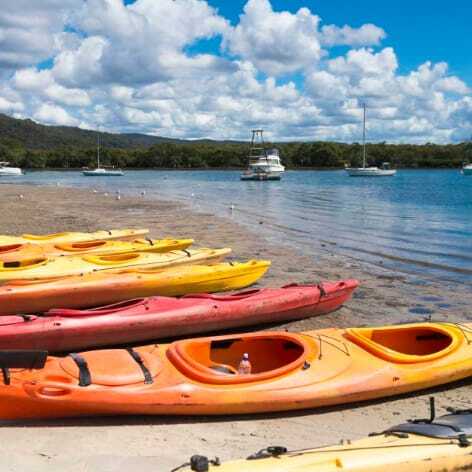 Wine and Seafood Kayaking Tour, Central Coast: Choose a Saturday or Sunday to paddle the beautiful Brisbane Waters and Woy Woy Bay with this Central Coast Wine and Oyster Kayak Tour. Weaving amongst oyster farms and past Pelican Island, breeding ground of the famous Woy Woy pelicans you then find yourself on a secluded beach in Waterfall Bay and settle down to a well-deserved lunch consisting of freshly picked Seafood followed by a full buffet lunch. Learn about the oysters, how they are grown and how to enjoy them best, before indulging in the oyster & wine tasting. Then secure your spot on a secluded beach in Waterfall Bay and settle down to a well-deserved scrumptious lunch. Witness the daily pelican feeding from the proximity of your kayak, this alone is an experience that you won't forget. 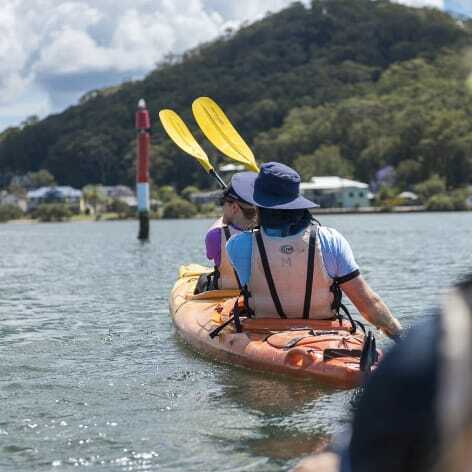 Tour departs from Woy Woy and paddles in sheltered waters, approximately 10km return trip. 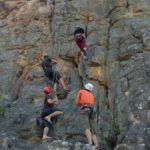 This trip is suitable for everyone, from beginners to experienced paddlers and those looking to just get away from it all. We paddle at a leisurely pace and take time to enjoy the serenity of the natural surroundings. 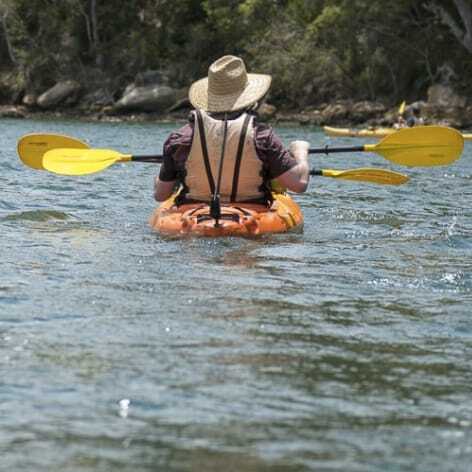 The Wine and Oyster Kayaking Tour takes approximately 5 hours. 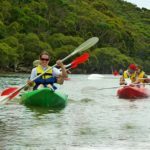 Previous kayaking experience and a moderate level of fitness is recommended. Departs from Woy Woy on the Central Coast of NSW. 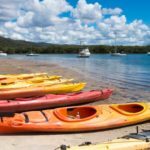 The Central Coast Wine and Oyster Kayak Tour is a 5 hour experience. Check the "availability" tab above. 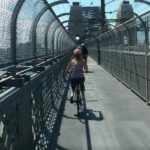 Appropriate sun smart clothing (ie thin trousers, long sleeved shirt, shorts). During the colder months, please wear something warmer such as a jumper. Old joggers, wet booties, reef sandals or shoes that can get wet. change of clothes (to be left in your vehicle) for after the trip. Wet weather gear if rain is forecast. Children under 15 years of age must be accompanied in a double kayak by an adult. 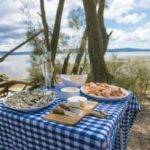 Minimum of 6 participants required for kayak wine and oyster tour to proceed. In the event of extreme weather your kayaking tour will be rescheduled. If unsure about the weather on the day, please phone the operator first.